Here is Bill O'Hanlon, the storyteller, at his best. 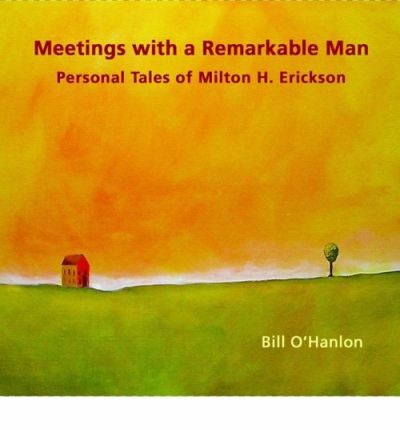 From his very first encounter with Dr. Milton Erickson, to his apprenticeship as Dr. Erickson's gardener, Bill O'Hanlon's narrative is both personal and informative. He explains how Dr. Erickson's life story impacted significantly on how he practiced his therapy and how he had the uncanny knack of knowing, in advance, exactly what a person was looking for. Listening to these tales will both delight and educate you. Also included is Trance Plants, an original song written and sung by Bill O'Hanlon dedicated to Milton H. Erickson. "I only wish I had been able to have talked with him about my work and my understanding of his work before his death."